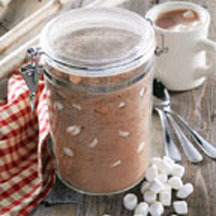 CooksRecipes has quality, kitchen-tested recipes for beverage "mixes-in-a-jar" and simple syrups that you can count on for deliciousness. 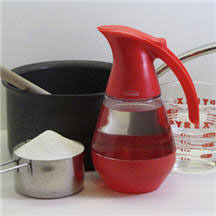 Use this simple sugar syrup to sweeten tea and other beverages such as fresh lemonade. 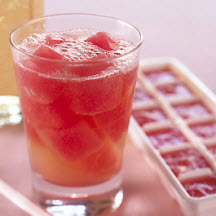 Frozen watermelon cubes add a light, fruity flavor to beverages from sparkling water to sodas.